President Luis Alberto Moreno of the Inter-American Development Bank (IDB), President Warren Smith of the Caribbean Development Bank (CDB), Secretary Ernest Moniz of the United States Department of Energy (DOE), and Secretary General Irwin LaRocque of the Caribbean Community (CARICOM) signed a memorandum of understanding (MOU) that creates a framework for cooperation to promote programs and activities that foster the transformation of the energy sector in the Caribbean. The MOU seeks to increase energy security, reduce energy vulnerability, and promote renewable energy, energy efficiency, and low-carbon technologies in the region. The MOU signing ceremony was witnessed in Washington on May 4, 2016 by the heads-of-state of numerous Caribbean countries, including: The Bahamas, Guyana, Jamaica, St. Kitts and Nevis, St. Vincent and the Grenadines, and Trinidad and Tobago. The USDoE, IDB, CDB, and CARICOM will collaborate to support strategic projects, activities, and programs developed in cooperation with regional governments in the Caribbean. 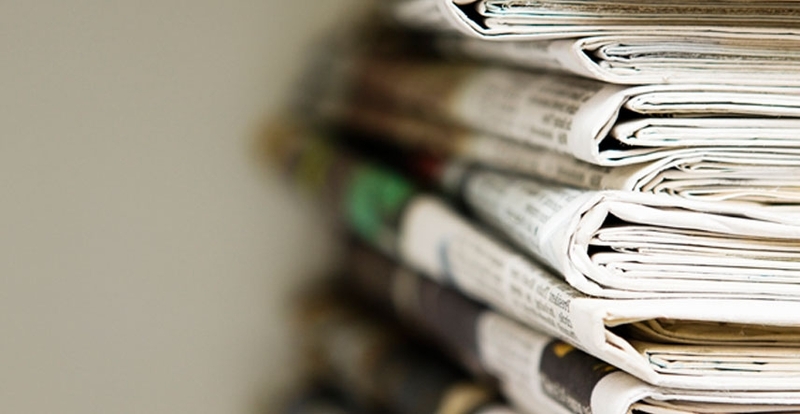 These projects include non-reimbursable technical assistance and programs to promote knowledge exchanges, capacity building activities, and to help mobilize technical expertise. In addition, the MOU seeks to promote collaboration for a potential Energy Co-financing Facility for Caribbean Sustainability to be developed by the IDB, particularly focused on efforts to attract international investors. The four institutions are developing an action plan to facilitate the implementation of the MOU, which will include additional details regarding expected timelines for implementation, definition of success, planned collaborative activities, and potential contributions. “Our work to catalyse resources for the region is starting to bear fruit. We must now focus our attention on implementation. We must also intensify efforts to address capacity constraints that could slow us down. Grant resources could be available for capacity building and addressing institutional weaknesses. Legislative and regulatory framework weaknesses have to be addressed if we are to attract the type of private investment that is desirable.” said CDB’s President Warren Smith. Clean energy financing, including, butnot limited to, mechanisms to support the substitution of diesel by cleaner, cheaper, and more secure sources of energy (natural gas, geothermal, hydro, ocean and sustainable biomass) for baseload power generation. CARICOM Secretary General LaRocque stated, "The work that is being pursued by the CARICOM Secretariat, working jointly with the CDB, IDB and USDoE is congruent with the regional energy policy and the Caribbean Sustainable Energy Roadmap and Strategy (C-SERMS). Through this MOU, the signatories have signaled a commitment to provide some of the technical assistance and funding that is needed for the region to judiciously pursue the goals and targets of the Caribbean Community. The MOU can also enhance project implementation and will act in support of the Caribbean Centre for Renewable Energy and Energy Efficiency (CCREEE), as well as project specific facilities such as the Sustainable Energy Facility (SEF) in the Eastern Caribbean." 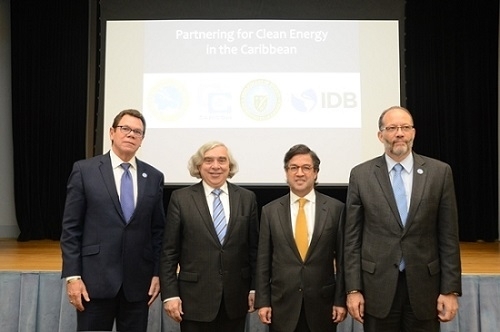 Through this collaboration, USDoE, IDB, CDB, and CARICOM will promote a sustainable energy future in the Caribbean by providing the technical knowledge and expertise to both increase energy security in the region and ensure greater use of renewable energy and energy efficiency technologies. The Inter-American Development Bank is devoted to improving lives. Established in 1959, the IDB is a leading source of long-term financing for economic, social, and institutional development in Latin America and the Caribbean. The IDB also conducts cutting-edge research and provides policy advice, technical assistance and training to public and private sector clients throughout the region.